In our world nothing can heal, balance, and revitalize us faster than light or sound. They speak directly and potently to our bodies, which love to regenerate faster than we can understand. Accordingly, we have focused on sound, beginning in the early 90’s, when we began producing the Deva’s Gift Quartz Singing Bowls. Since then we have expanded even more, continually. 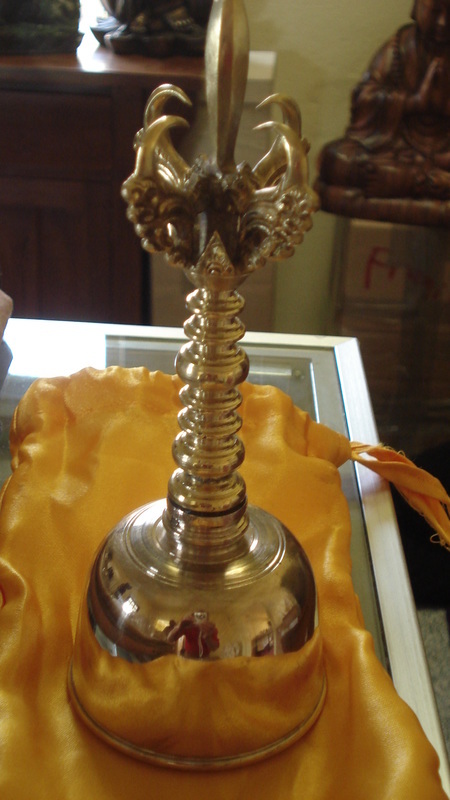 Our most recent, joyous acquisition is: Balinese Temple Bells. While in Bali, we met a family that has been supplying the unique, expert, traditional musical instruments for the temples and their very sacred rituals. Once we heard the Temple Bells chime, there was no going back! These are the only multiple- metal bells we have ever known. They sing so exquisitely and so richly, we feel different parts of our bodies responding…..and balancing…..and smiling. These bells create instantaneous, incredible alchemy in bodies, minds and hearts at once and then over and over again! Every time we play the bells, something else in us transforms easily and graciously. WOW!